I love the Dungeon walkthrough maps that Wizards puts out from time to time. They make me wonder at the crazy antics of the late 70s and early 80s when I either didn't exist or was potty-training. 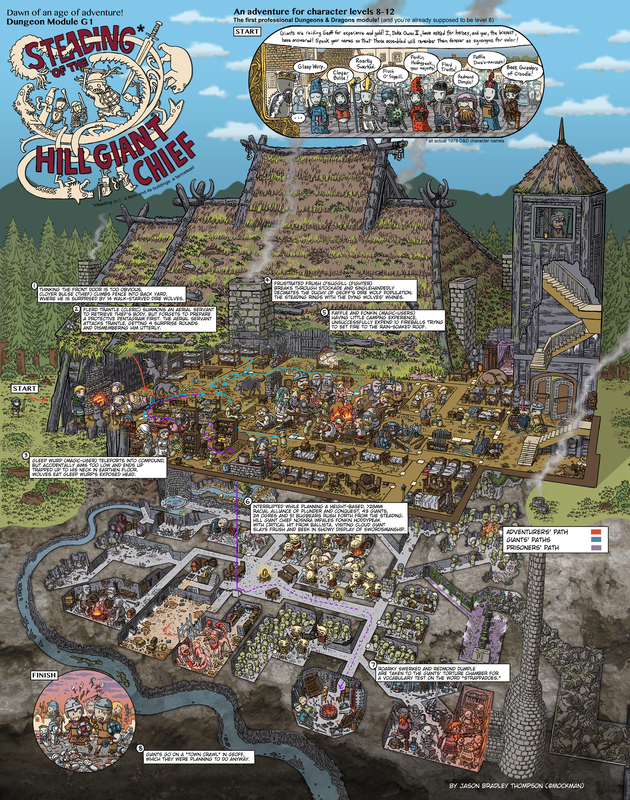 The newest one "The Steading of the Hill Giant Chief's Steeding" is full of laughs as I have come to expect from these. Obviously the real adventure can be purchased here.